Looking for that Perfect Roanoke TX Home? If you are looking for that perfect home for sale in Roanoke TX, you've definitely come to the right place. At Kirby Smith Realty, we have all the homes for sale in Roanoke TX. Homes for sale in Roanoke TX and Kirby Smith go together like Led Zeppelin and Rock and Roll. Kirby Smith has been selling homes in Roanoke TX for 19 years. Kirby Smith & Associates has the longest running real estate firm in Roanoke, selling homes here since 2000. Unfortunately there's not lots of houses for sale in Roanoke TX right now. Inventory continues to be in short supply, but as we move into April, we'll begin to see more homes in the Roanoke TX be listed on the market. The picture in this blog is from our new homes for sale in Roanoke TX collection. It's a brand new Perry Home in Fairway Ranch. 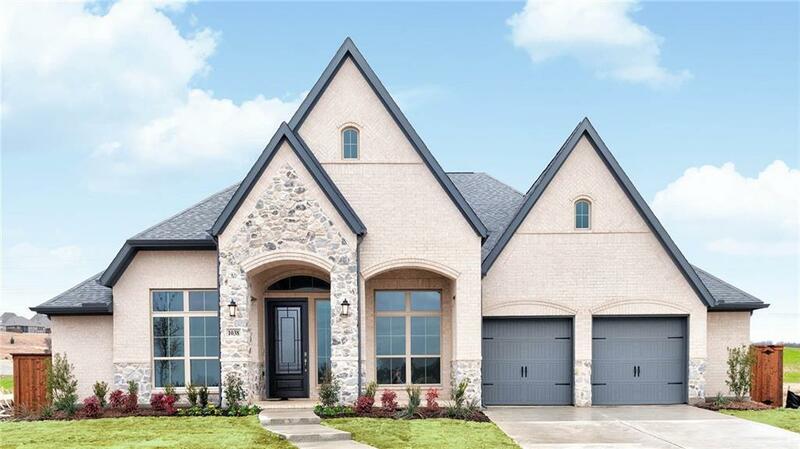 We have all the new homes for sale in Roanoke TX listed on this site as well. You name it, we have it right here at Kirby Smith & Associates Real Estate. To sell all the homes for sale in Roanoke TX follow the link I posted. If you are possibly thinking of selling a home in the Roanoke TX area, please let m know. You can follow this link at sell my Roanoke TX home and we'll get you a FREE market analysis for your home.